The past decade saw some impressive changes brought into the aorta of risk management. And the change is showing no signs of slowing down, now. 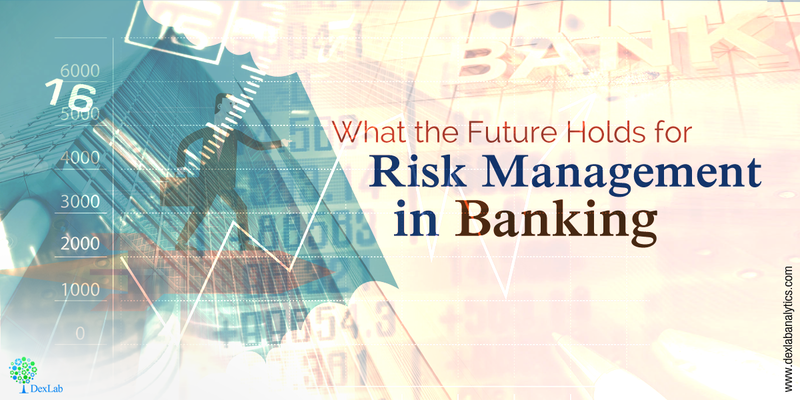 Sources Of Banking Risks: Credit, Market And Operational Risks – @Dexlabanalytics. Though magnitude and speed of regulatory change varies across countries, the future is definitely going to see more regulation – both financial and non-financial. The reason being- public sentiment- public no more tolerates misuse of its hard-earned money. Moreover, governments are increasingly increasing regulatory pressure on financial institutions, asking banks to help in cracking down illegal financial transactions, while encouraging collection of taxes. Technological innovation created a new set of rivals: Fintechs. They don’t want to function like banks, but they want to establish a good direct customer relationship and hit the very most lucrative part of business – origination and sales. So, if banks want to make their customers happy, they have to step up their game – day by day customer expectations is going to rise. Technology enables banks and their rivals to offer amazing customized services. It may be a bit expensive on account of banks because of the intricateness of supporting the process, but over long-run, it would reap its benefits. The Basics Of The Banking Business And Lending Risks: – @Dexlabanalytics. Technological innovations are evolving, enabling the risk management techniques to make better risk decisions at reduced costs. Big data – Cheaper and effective computing power helps risk functions to implement piles of structured and unstructured customer information – which in turn will monitor portfolios, assist in better credit risk management decisions, detect money-laundering schemes, and predict operational losses. For comprehensive big data hadoop certification in Pune, drop by DexLab Analytics. Machine Learning – To improve the veracity of risk models, machine learning can be used in identifying complicated, non-linear patterns from pretty huge data sets. Every tiny ounce of new data actually increases the predictive power of the model- hence some banks have been using the models to strike early results. Crowdsourcing – The internet boosts crowdsourcing of ideas to enhance their effectiveness. For instance, Allstate Insurance Company asked the data scientists to crowdsource an algorithm for new car-accident insurance claims. And guess what? In 3 months, the predictive ability of the model increased by 271%. Undeniably, the risk function is required to detect and manage new and challenging risks over the next decade. Model risk, contagion risk and cyber security risk are some of the new genre of risks that have newly emerged. Thanks to Behavioral economics, the process of understanding how people come to decisions navigated by conscious or unconscious biases is now easier than ever. For a start, you must know that business is attracted towards being bias. And hence biases are extremely relevant for bank risk-management functions, as banks are the ones who are in the business of risk-taking, and every risk decision is subject to ample biases, which needs to be fought off. The risk function can play a major role in de-biasing banks. In fact, it can even be served as a center of excellence for churning out de-biasing processes and techniques. For regular updates on SAS certification training in Pune, follow us at DexLab Analytics. Being a premier data analyst training institute in Pune, DexLab offers nothing but only the best analytic courses in India.